Well, life sure has kept me busy lately. I think I’ve eaten more breakfast for dinner lately than I ever thought possible. I have been super busy trying to keep up with my son’s wrestling tournaments, photography work, a new writing job, the farm and filling in for another farm while the owners went on vacation. It’s been a rough few weeks to say the least. Now as we sit, discussing upcoming changes and events, there is so much to get done for 2014 on our farm. My head seems to swirl in a hundred different directions at just the thought of it all. Dividing animals, separating bulls from cows and last years calves from their momma’s, is next up in line. I’ve had a few people asking me lately what we do, how and why. So I guess it’s time to discuss it. First off, our beef breed (Irish Dexter) are really good mothers. 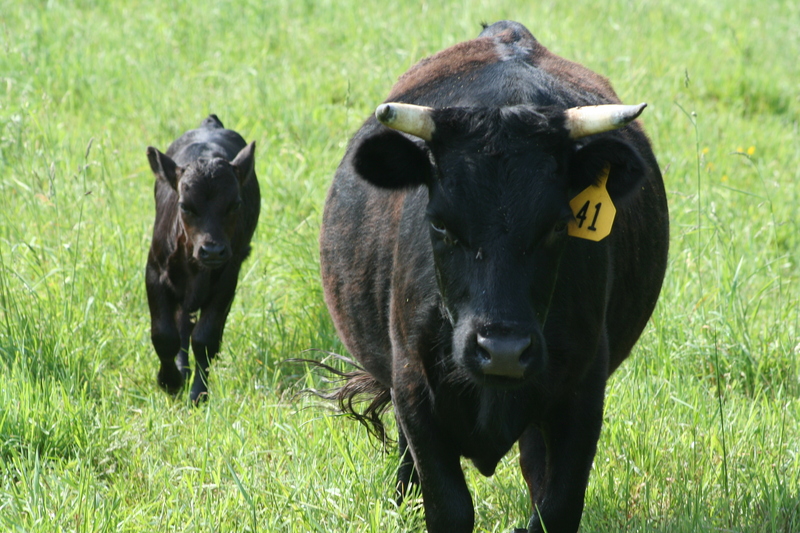 We like to leave the calves with their mom’s as long as possible. It helps the calves continue to grow good and gives them the availability of having fresh warm milk from their mother through the cold of winter. Normally, we start pulling calves away from their mothers just about the time spring comes in March. This year, spring hasn’t even showed any signs of arriving anytime soon, unfortunately. That being said, we are still going to need to take the calves out of the paddocks. They will be shifted to the calf pens. 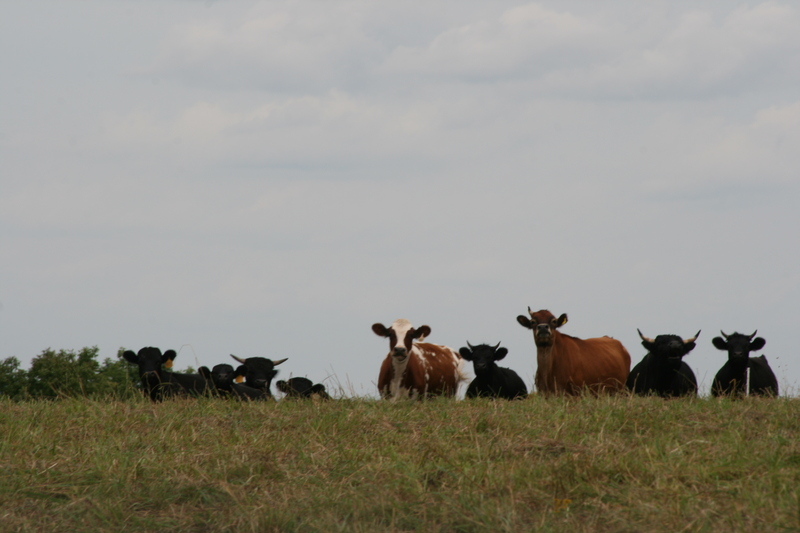 The calves are typically between eight and ten months old when we wean them from their mothers. This is when they hit what I like to call the adolescent stage of their lives. Any parent knows that teenagers can drive a mother insane. It’s no different for cows. Half the time, the calves are about 50-75% the size of their mothers and way too big to continue nursing. 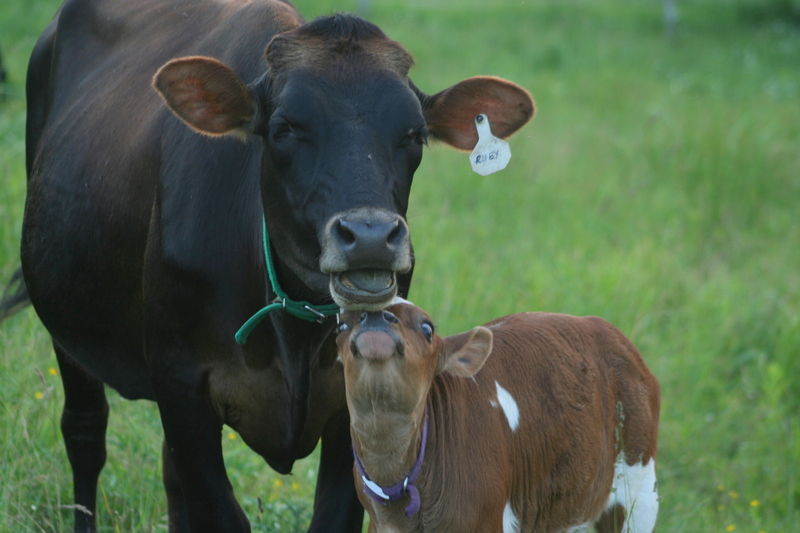 We have only ever had one calf that didn’t need to be “removed” from the pen with her mother. She weaned herself, amazingly enough. Here we sit, right now, on the verge of separating animals. We have paddocks set up for housing just the calves and we do what is called “fence line weaning”. The divider between the mother and calf is a 5 strand high tensile electrified fence. It is rather noisy but is the least stressful way to separate them. They can still see their momma’s and talk back and forth. They still have the chance to get licks through the gate too. Most people outside farming don’t understand the bond between a cow and a calf. It’s an important one. The cow teaches the calf how to graze, what to eat and how to act. Sometimes, this results in animals passing on habits we really don’t want but that’s how it is until they are separated. After a couple of days, the bleating starts to calm down and everyone transitions into the quiet they are used too. Once the beef calves are inside the calf pen, we start working with them to break some of the bad habits their mothers have instilled in them. The original dexter cows are the only ones who really have this issue and that’s really only two of them. 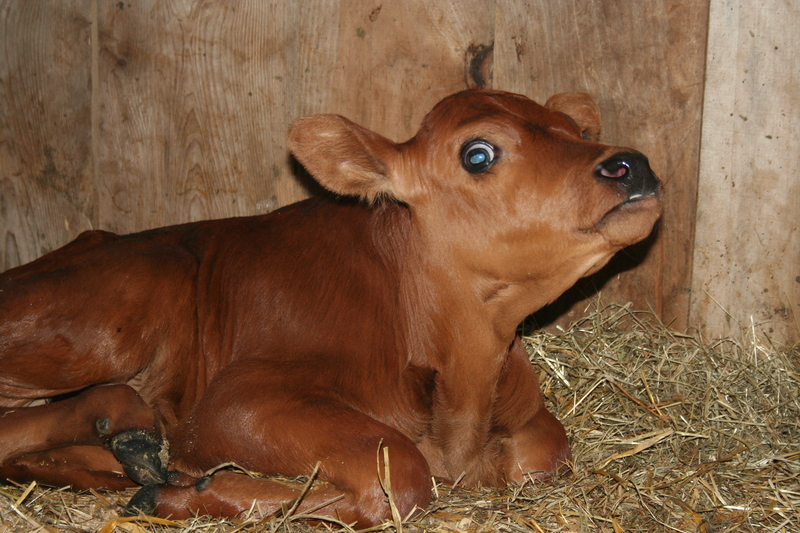 Each year, we have one calf that is a little more “friendly” than the others. Not always from the same momma either. When we start working with them, it’s basically to get them used to having someone human upfront and in their face on a more regular basis. This happens because the barn they go into is a much smaller area and they are forced into the area each end of the day. It takes weeks before they stop running from one end to the other. As time progresses, we shrink the area they are allowed to move around. We sit with a hand out, allowing them to smell us or lick our fingers. Once they settle down and stop running in fear, then we attempt to get a halter on them. Sometimes this takes several weeks or even months. Once they are haltered, they get a collar. The collar makes it easier for us to reach out and grab them. The halter training continues until they are used to it…most of the time. Some never become accustomed to it. Why halter train? 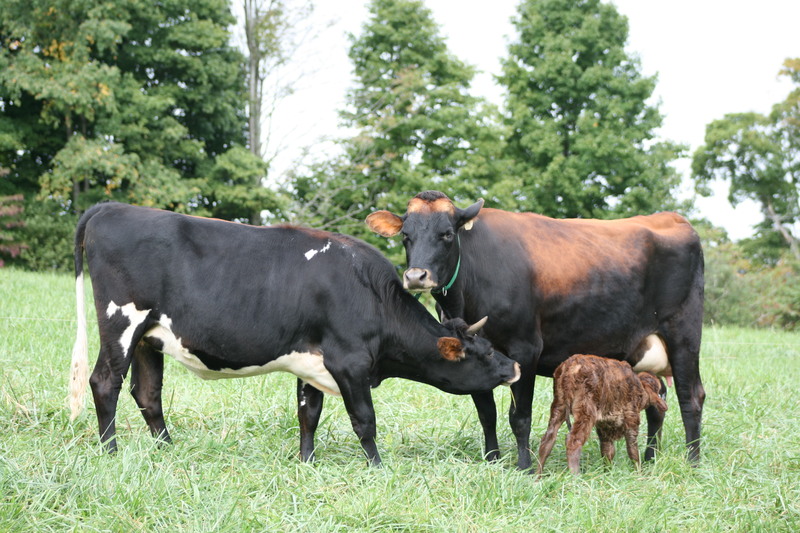 There are a great many reasons to halter train a calf. One is that it’s easy to move them from one location to another without the exhibition of a typical “cattle flight mode”. Other reasons include being able to move them for vet visits, physical exams, potential pregnancy checks, and even transportation. Halter trained animals are much easier to handle. It’s builds their trust in you and teaches them that YOU are the boss. 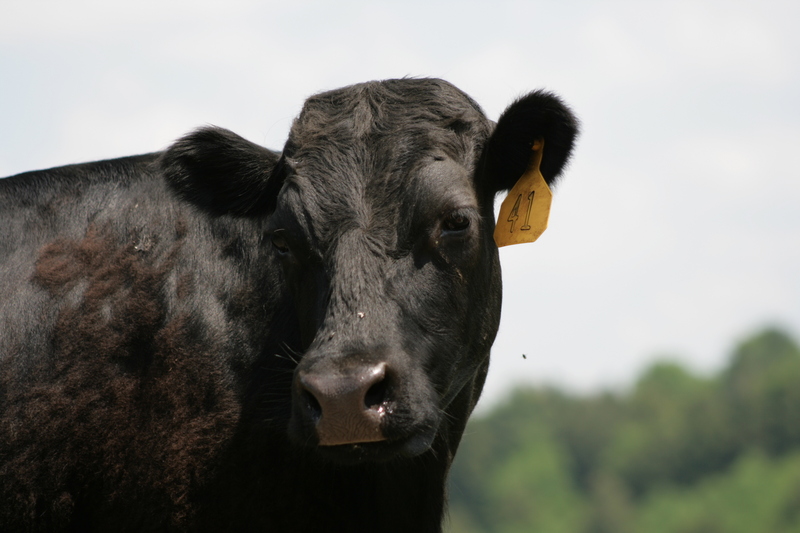 Halter training isn’t typically something that happens overnight either. Some do pick it up quicker than others but typically I would say it takes roughly 15-20 minutes daily for about two weeks before they really start grasping the whole concept of not pulling, tugging or attempting to run. The beef breeds seem to be a little more pig headed and stubborn than the dairy breeds too which doesn’t help. Some of the calves have picked up halter walking within the first two attempts. Others, well…let’s just say that when they see the rope come out that flight response goes into overdrive. Both the fence line weaning and the halter training can be very dangerous. You can get run over by a calf that is running the fence line. You can get angry mothers who get rather nasty when you take their calf. You find out where every crack in your fence line is too. Halter training an animal that weighs in somewhere around 400-500 lbs and you weigh in less than 200 can be a trip too. I’ve seen one of these calves drag a full grown man like a rag doll on the first attempt. Staying calm but understanding the reactions of the animal are crucial. It isn’t recommended for the weak of heart. You have to be calm but just as stubborn and pigheaded as they are. You also have to understand that not every animal will be successful every single time. As we go through this process, I will attempt to take some videos. I will forewarn you, it is rather difficult to get video when you only have two working hands operating the farm. I am going to see if I can enlist the help of a teenager who is showing some extreme interest in farming, even if only to video record. It would be a great learning experience for him and would benefit me with a video. Until then, I need to start preparing for our first calf heifers to start having calves the end of the month. 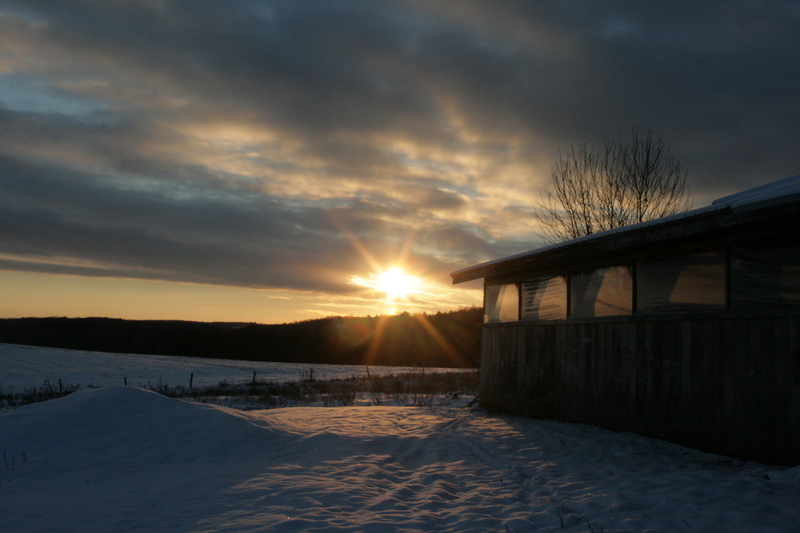 We keep praying that the weather will break and we will start getting some warmer weather by then. I’d hate to have calves come in this bitter cold. It’s below zero right now. I can’t even imagine what’s going to happen if it’s that cold when the calves come. I don’t think Mr. Farmer will like it much if I bring three calves in the house to keep them dry and warm. 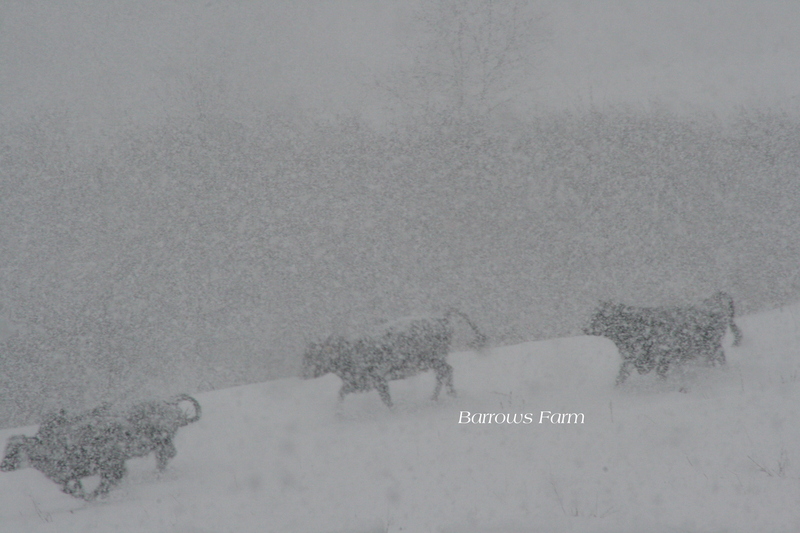 So, now I’m off to plan the “just in case” to ensure the calves get off to a good start, no matter what the weather. I’ll update when I can. Sorry about no new recipes lately…. unless you want to know how to make toast, sunny side up eggs or oatmeal, I’ve got nothing new and exciting to share. 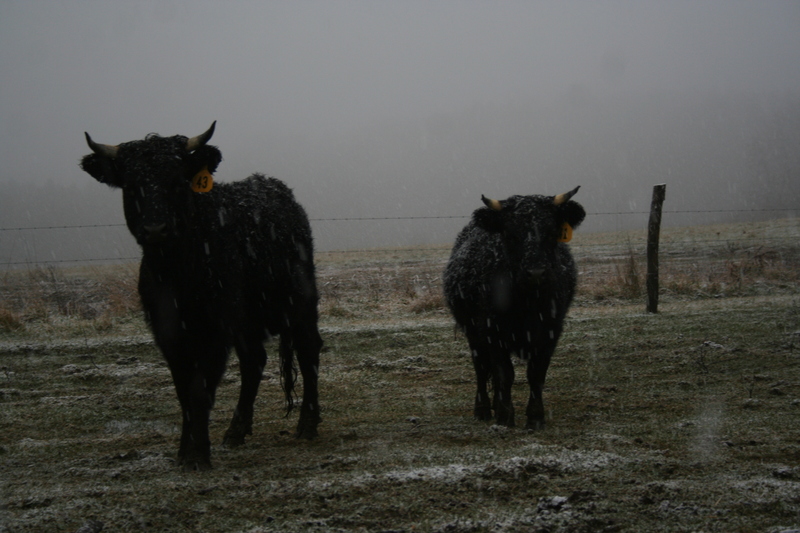 We’ve been posting some photos on our Instagram and Facebook pages about the cattle and their winter choices and preferences. I’ve had various people from all over the world comment about their cattle and if they go outside and graze or stay inside to just eat and lounge around. Here is what we have discovered over the past couple of years in our attempt to gain more days of grazing throughout the year. 1. We had a field that was going to be used for hay that didn’t get cut due to many days of rain and an over abundance of shale rock sticking out of the ground. 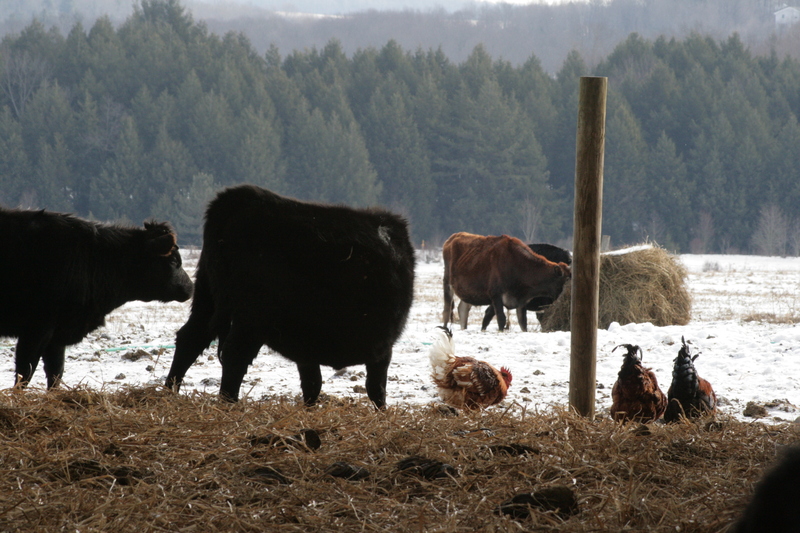 This is the second year we had this issue and decided fairly early in the year that our new seeding fields would produce enough hay crop for our animals over the course of the winter. We allowed the grasses to grow over the entire growing season and created a stockpile of grasses in the field. 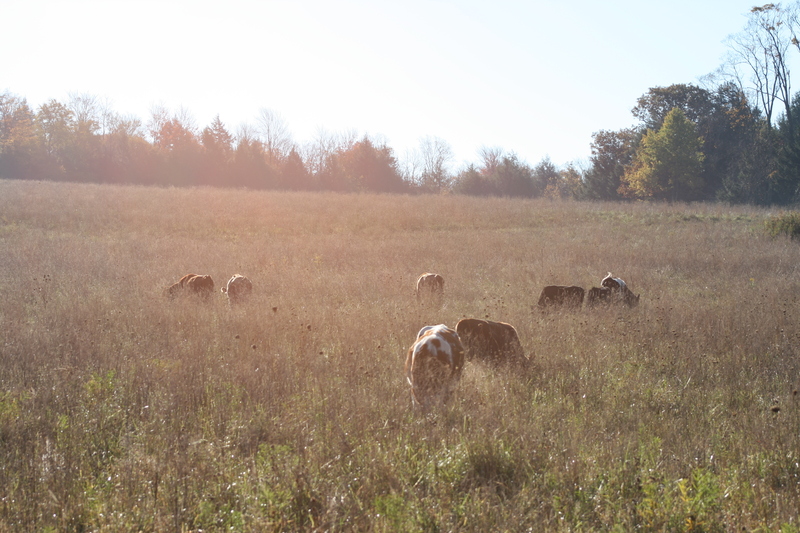 Late in the year, starting toward the first of October we started grazing the animals in this unmowed paddock. The grasses were of various heights, many of which ranging between the 8-12″ mark. Some was taller and had died off while the bottom was a thick carpet of new growth. The cattle stayed in this paddock until we got a heavy rain in November that caused some severely muddy areas that were starting to freeze and creating a hazard for the cows. They were shifted out of this paddock on November 27th. 2. 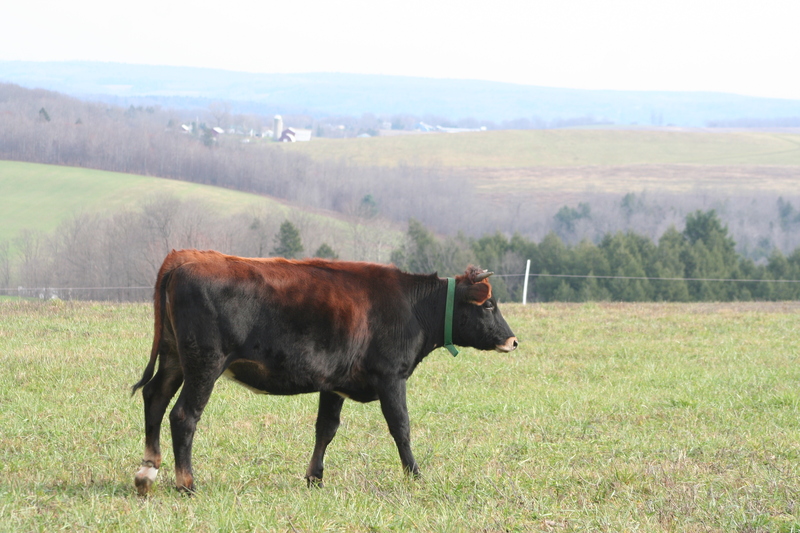 Cattle that have been raised to graze WILL graze when given the chance. The Irish Dexters we have here are natural grazers, so it makes sense to us to run all the younger cattle (yes, even the dairy breeds) with them as much and as often as possible. Cattle learn from repetition and by example. The older cows teach the younger cows what to do. Sometimes, this has additional woes to consider when it comes to animal handling but that’s another topic. 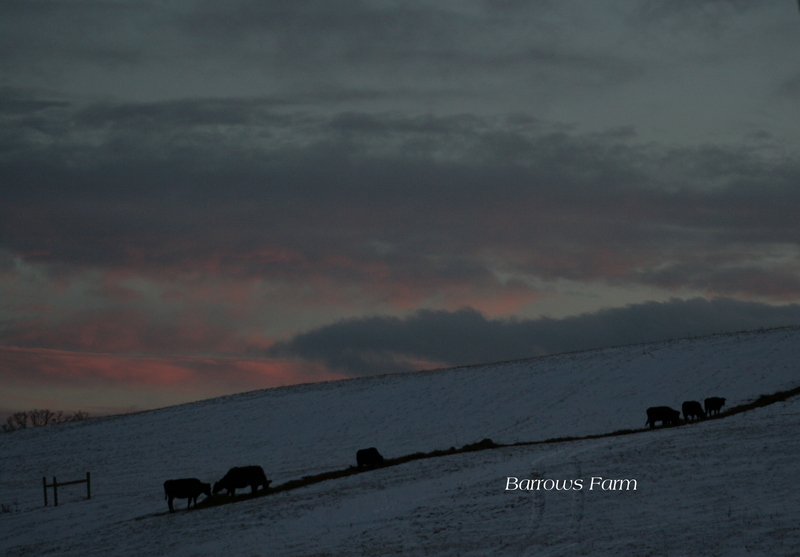 Here is a link to a short video, taken on December 30th with about four to six inches of snow on the ground Post by Barrows Farm of one of our dairy cows grazing. 4. It isn’t only the cattle that prefer to eat something out in the pasture. We have chickens that refuse to eat the “rationed” diet provided by the feed store, instead the forage for their own food. Look at those chickens go out and get goodies! Overall, I have to say that this has been an experience for me. 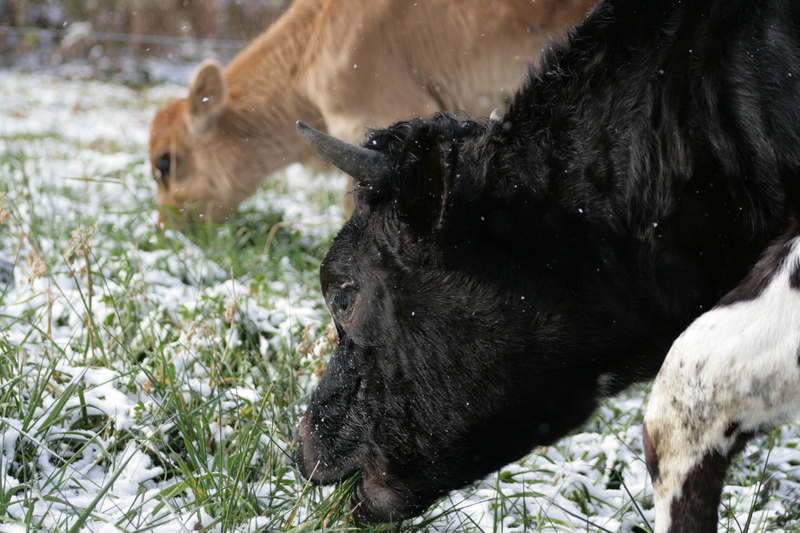 Each generation seems to be more adaptable to the winter grazing. Maybe we are just noticing it more but I can demonstrate what I mean by viewing the photo below. 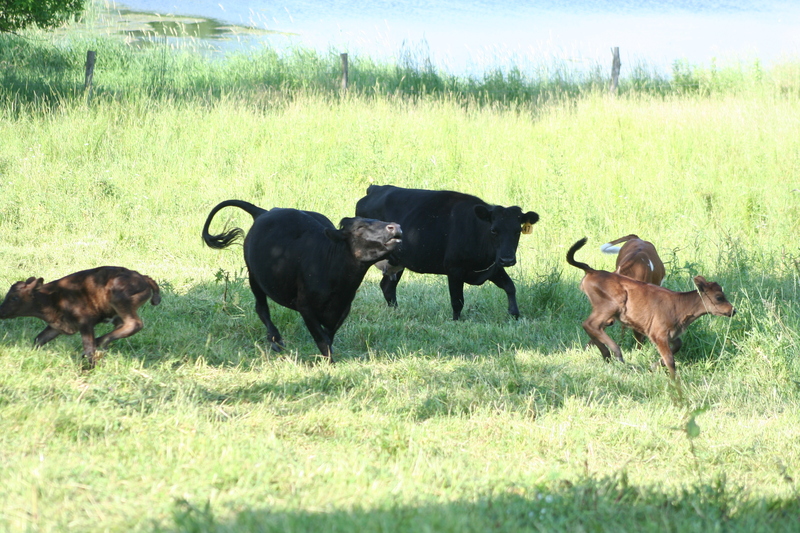 All the calves are doing great and at six to seven months of age are developing well.